I’ve always loved to garden and be outdoors. Over the years I’ve had a few impressive gardens and some pretty spectacular (for me anyway) harvests. But until recent years, my houseplants never reflected my green thumb. I often forgot to water them and finding time to repot them was nearly impossible. I spent many years, while my children were young and life was even more hectic, feeling stressed and ashamed every time I’d look at my scraggly, parched and neglected house plants. In recent years I have improved in my ability to care for my houseplants and they don’t look nearly so forlorn. I have a beautiful little azalea tree and a couple of pineapple sprouts I’m hoping will bear fruit in the next year or so. I have had to move them all into the same location in my home to make watering easier, but now I have several plants that I’m actually kind of proud of. Though, truth be told, there are occasionally still times when they get rather thirsty and cause me a pang or two of guilt. Recently I got a beautiful silk plant from Commercial Silk Int’l and I absolutely love it! I am planning to purchase more artificial plants for many of the rooms in my home. I recently saw a cute display of succulents in a bathroom. Hey, I may just get plants for every room in my house! Full and Beautiful – The plants always look lush, green, full and beautiful. Nothing you do (or don’t do) changes how lovely they look. Always in Bloom – My plant doesn’t actually have blooms, but I carefully considered choosing one that did. 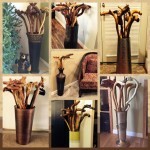 I chose one with green foliage to display in my living room. My next artifical plant is likely to be of the blooming variety. I have visions of beautiful silk plants with purple blossoms as the focal point of my planned bedroom makeover. The best part is that the blossoms will never fade or drop on the floor and it will always be in bloom. No Water, Sunlight or Fertilizer Needed – There is never a need to water or fertilize your silk plants. You can place them anywhere in your home without worrying if they’ll get the proper amount of sunlight. They don’t need it. I love the idea of having them throughout my house without having to worry about wandering from room to room to water them! Green Thumb Not Required – If you have no green thumb and no interest acquiring one, these are the plants for you! Not even a tiniest bit of knowledge about plants or gardening is required! 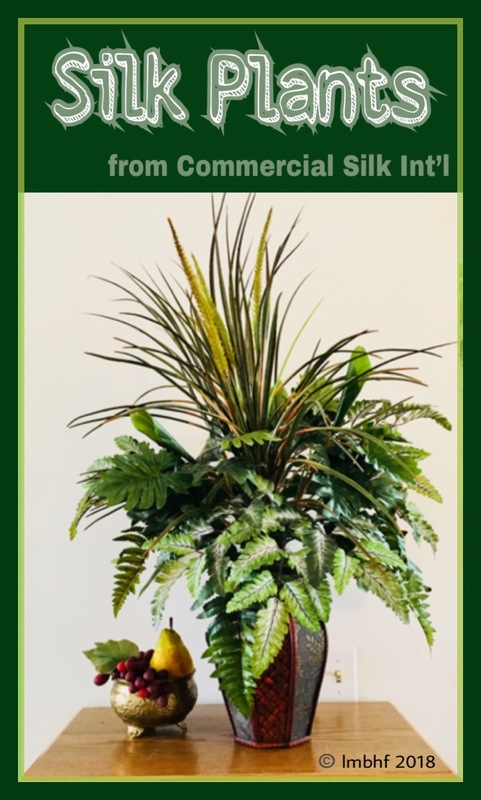 Add Beauty and Elegance to Your Home – Commercial Silk Int’l has a wide variety of plants to choose from. They have every thing from succulents, grasses, and flowers to every kind of foliage you can imagine. There is something to fit every decorating style and that will compliment and add beauty and elegance to any room in your house. 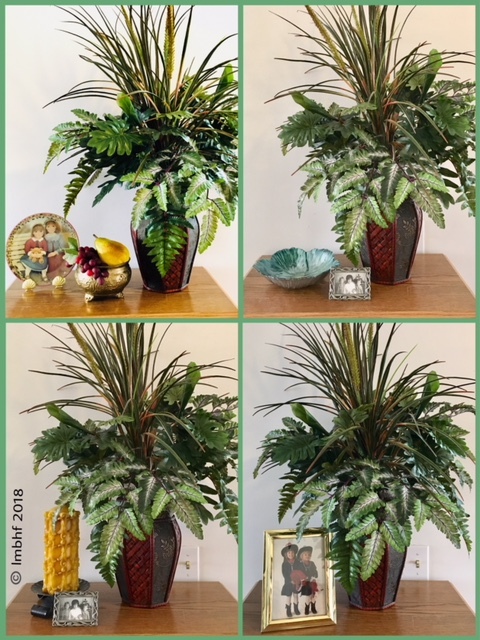 Here are a few of the decorating ideas I tried out while deciding how to display my beautiful silk plant. You might like these related products from Amazon. If you click on the photos or the descriptions below, you’ll be redirected to Amazon where you can purchase the products. These plants are exactly what I need. My thumb is so brown. lol I have two prayer plants that are struggling to live because as you said I forget to take care of them. I ordered some lovely cactuses from Commercial Silk and they are truly lovely. Very realistic. Great quality products. These are lovely silk plants; they actually look real in the photos. I’m sure they are a beautiful addition to your home! Thank you for sharing them on the #BloggingGrandmothersLinkParty!